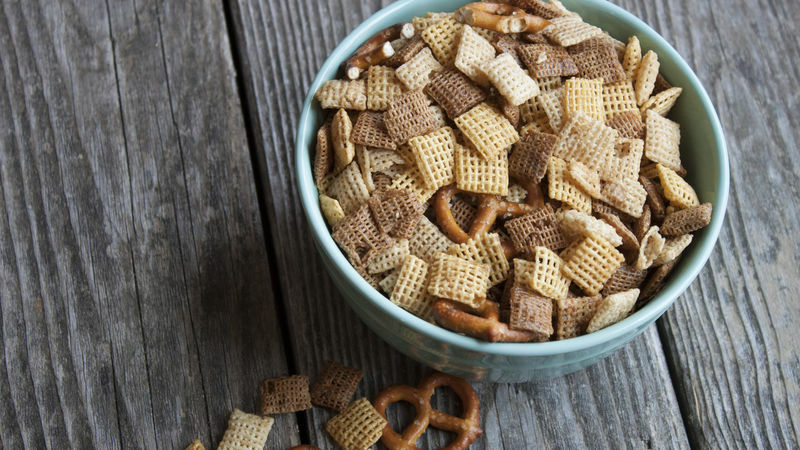 In oval 5- to 6-quart slow cooker, stir together cereals and pretzels. In small bowl, mix melted butter, Worcestershire sauce and spices with whisk until well combined. Pour over cereal mixture; stir until evenly coated. Cook uncovered on High heat setting 2 hours, stirring every 20 minutes. Add some protein to this mix by adding in a cup of your favorite mixed nuts.